Our Work to Weekend Pro Trouser delivers versatile style, seven days a week. 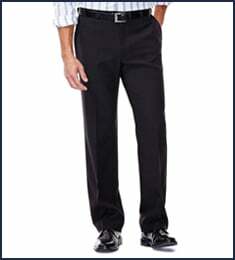 This no-iron cotton pant, now with stretch, transitions between professional and comfortably casual without a wrinkle. You&apos;ll love the increased flexibility and ease of movement this cotton stretch blend provides. 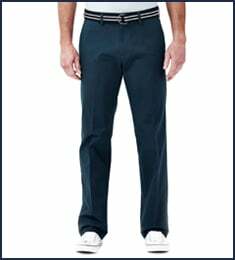 Hidden Comfort Waistband: Expands up to 3"
Big & Tall Work to Weekend® Pro is rated 4.7 out of 5 by 6. 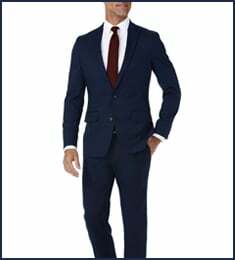 Rated 5 out of 5 by skm3 from Great Fit I rarely find a pants that I can just put on without having to do some alterations too. I was skeptical at the “relaxed-fit” description but went ahead and placed an order for two different colors of the 46X30. The good news is that they fit, and fit me well! It looks like I found a retailer that I can do business with. Rated 5 out of 5 by gmsteelhaven from Works as needed fits as expected. Works as needed fits as expected. pants fit great for us bigger guys. Rated 3 out of 5 by ellenc from Extremely long rise Had to return these. 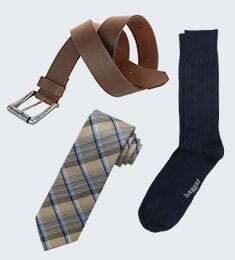 My husband needs a longer rise in his slacks and the Haggar dress pants fit him well, but even though these were the same size, the rise was much longer which made them much too baggy in the upper thigh and seat. The pants are well, made, but just don't fit. A guy who needs a super long rise might find these suitable, but they are not for us.